Design is intertwined with psychology. Today I want to explain the concepts of immediate and anticipated emotions while designing. It’s a concept that is truly handy once you realize what it is. Immediate emotion is a user’s emotional reaction to a product. An example is a negative response to a landing page from issues such as usability, accessibility or readability that get in the way of visiting the page. When a long page hijacks scrolling, your immediate response could be frustration, confusion or even distrust. That’s one way of experiencing an immediate emotional response to a product. But there are also positive responses such as being impressed or wowed by a product when you’re first introduced to it. That’s what you should aim for. 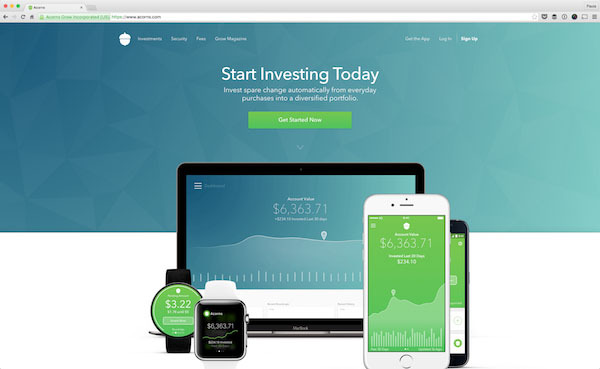 Acorns is an online investing app for your spare change. It’s a pretty cool concept. Their home page includes a neat emotional trick you’ve probably seen before. Because Acorns is an app, users see various platforms that the app works on – great. Then users see big numbers that help evoke a feeling of missing out. I mean who wouldn’t want to invest spare change knowing that they could make $6,363.71 off it. I see what you did there, Acorns, and it’s brilliant! 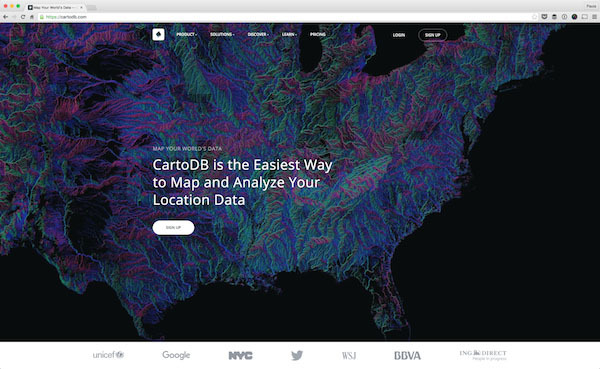 CartoDB helps you analyze location data in the most beautiful way. I don’t know about you, but location data doesn’t seem like fun. Yet, CartoDB makes it so. The first thing you see on the homepage is a mind-blowing, gorgeous map. For those of you who are familiar with Donald Norman’s definition of visceral appeal, it means that an object or product is visually attractive. And this location mapping software has nailed it. People will be won over by CartoDB’s hero shot instantly. Now, that doesn’t mean that they are sold on the app, but that’s a great foot in the door to gets the potential customers interested in the product. 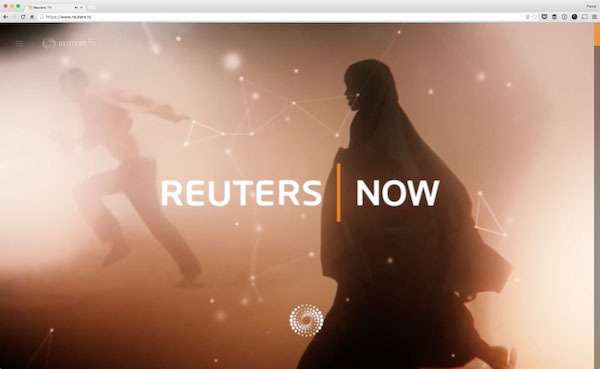 Reuters TV is a news video streaming app that doesn’t waste a single second introducing itself. Instead, the site just starts steaming news. There is very little navigation to distract you and video is the only thing that’s truly capturing your attention. It’s an interesting way to show off a product. It allows users to get a feel for how they present news instantly and allows them to create an immediate emotional response. Anticipated emotions leverage users’ past experiences in order to help anticipate their future with your product. A great example of this is showing off lifestyle shots of happy people who purchased and use the product. It’s important to show a scenario potential customers can relate to so that their hesitations can be made into assurances. When a customer can imagine a positive outcome, there is a bond between the customer and the product. If you can evoke a strong positive emotion within a user, you can evoke trust for your brand. Trust often will lead to loyalty, too. 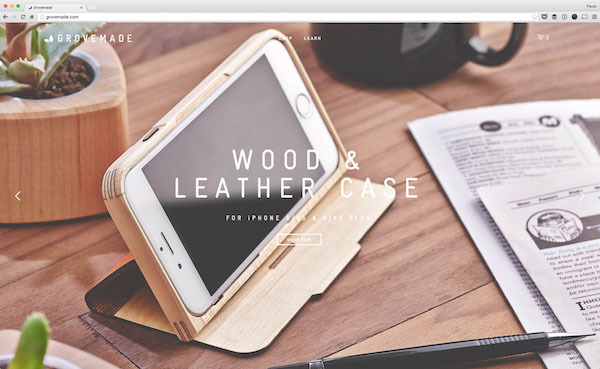 Grovemade is a collection of handcrafted wooden items like phone cases, monitor stands and other desk accessories. It’s no surprise that when you first land on their homepage you see a slow slide show demonstrating products in the real world, meaning they show gorgeous photos of their products. It works because the accessories are marvelous and look good. The photos showcase how great your desk could look if you just bought their laptop stand or their iPhone dock. It’s good at convincing me that I indeed want their products. The website is purely made up of lifestyle shots. 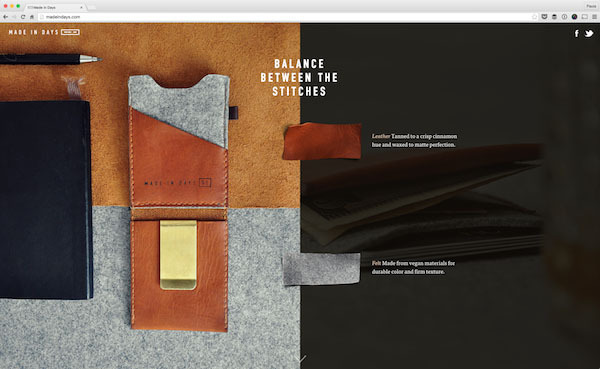 It’s a long but single landing page for a custom wallet line. There are nine photos on the page. There is very little text. The photos work amazingly because they are high quality and show a good looking wallet. The way they present the product isn’t groundbreaking – it’s just one big background photo after another. But the lack of clutter and essence of clarity in focusing on these great photos works; they just look good and speak volumes more than words ever could. What else could you want? They get to the point extremely quickly making a clear demonstration of the product. Narrative is a small wearable camera that takes photos every few seconds for you. On the product’s landing page, you’re greeted with a video that shows you various life moments. They eventually show you what the camera looks like, but that’s not the important part here. You’re not buying a camera, you’re buying snippets from your day to day life. 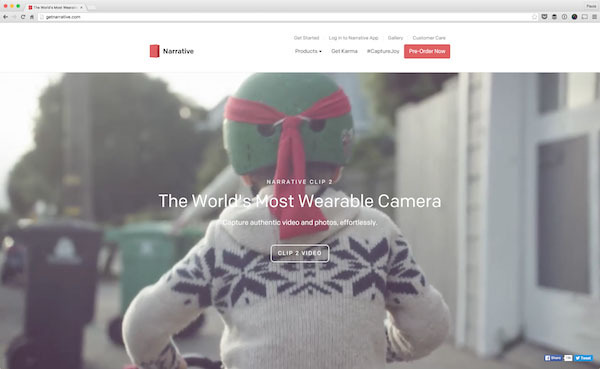 Narrative’s page shows you the photos and videos you’d be gaining by simply wearing their device on your clothing. You no longer have to take your phone out to snap pics of memories you’d like to keep. Instead, Narrative is the clip that takes care of it for you. You can focus on making those memories instead of worrying about preserving them; they know this, and they are not afraid to show that off with their copious lifestyle shots. We all know that focusing on benefits instead of features it the way to go. It’s a great way to connect to a person emotionally. As you can see from this article, emotions are an amazing thing to leverage when trying to sell a product. You can also see how benefits are a great way to speak directly to those emotions. Here are some copy snippets from a few landing pages that leverage anticipated an immediate emotions together to make a sale. Bring the right people into the discussion. You can send a chat to anyone, even if they don’t use Evernote. Always see who’s talking. 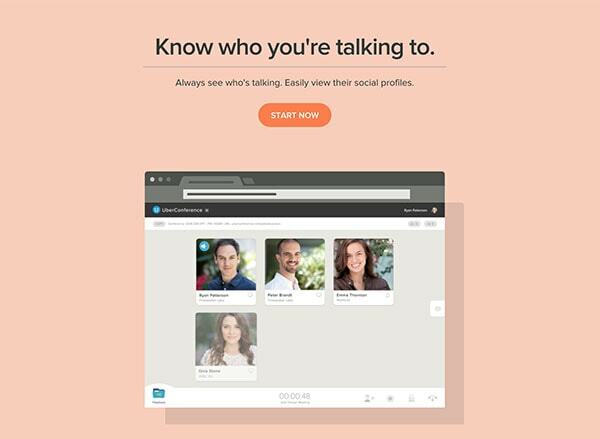 Easily view their social profiles. 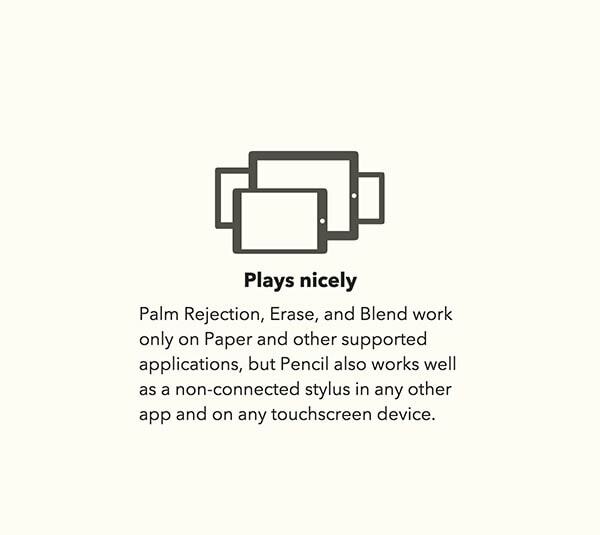 Palm Rejection, Erase and Blend work only on Paper and other supported applications, but Pencil also works well as a non-connected stylus in any other app and on any touchscreen device. Instead of getting bogged down in email, chat with your team in real time, clarify tasks and plan projects all in one place. 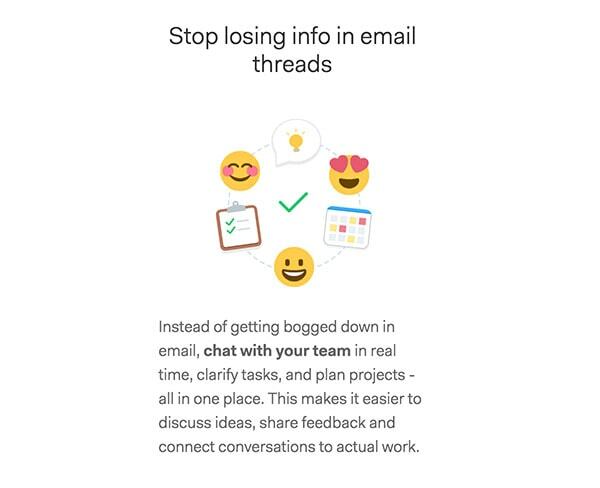 This makes it easier to discuss ideas, share feedback and connect conversations to actual work. Isn’t it so much easier to make a fantastic and impactful design when you understand how to leverage emotions and psychology? I think so. It is really interesting to see, how a landing page can pull in the audience by adding a little emotions to it. These are a really great examples and highly inspiring for those who are brave enough to experiment. Nice idea for an article but this comes off to me like an awards show about manufacturing emotions for the audience. If there is to be a follow-on to this article, please add some depth—in the direction of what work has been done to actually anticipate said emotions. What has been deduced about what people are feeling before they arrive at a landing page? How do you arrive at these deductions? That’s what I came here to read. Actually I can illustrate with the article itself: I arrived at this page through a link in an email newsletter. My mood was inquisitive and hopeful. Just before clicking on the link I had formed a goal of learning something new about this subject. Upon reading down the page I became disappointed, since it appeared that my goal would not be achieved.